Professional Speaker, Trainer, Executive Coach, Founder/Principal, Dr. Dave Leadership Corp. 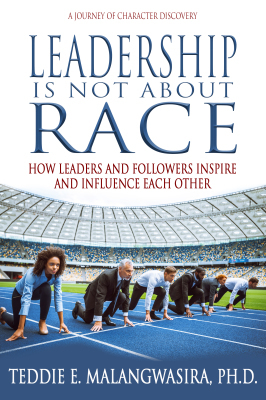 I have just finished your lovely book Leadership Is Not About Race. It’s a wonderful book. Your use of both Malawian and American examples enhances the credibility of the book. Use of real life examples like those of Mandela and Gandhi make the reader get interested in the way you are developing the theme. ​The checklists for being an effective leader and follower are very useful and in fact sum up everything you have written in the 240 pages of the book. These are the core attributes aspiring leaders and followers need to have. 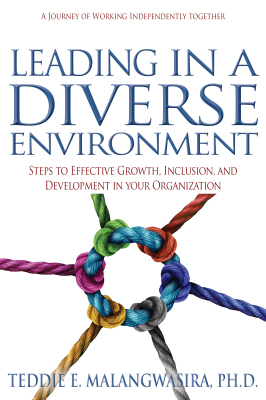 On leadership expectations from society you put a very interesting issue of “Protect your leader” (Page 139). The Malawian way of protecting a leader is ring fencing him from the outside world. He or she only listens to the views of those within the ring and the leader becomes hard of hearing. The personal application sections at the end of each chapter are very useful for readers to reflect on what they have read. Bravo Teddie for this wonderful book!